4WDing…where travelling 120kms can take 10 hours. 4WDing (verb): the act of getting stuck while attempting to drive over/through obstacles that should not be travelled over/through by a vehicle. 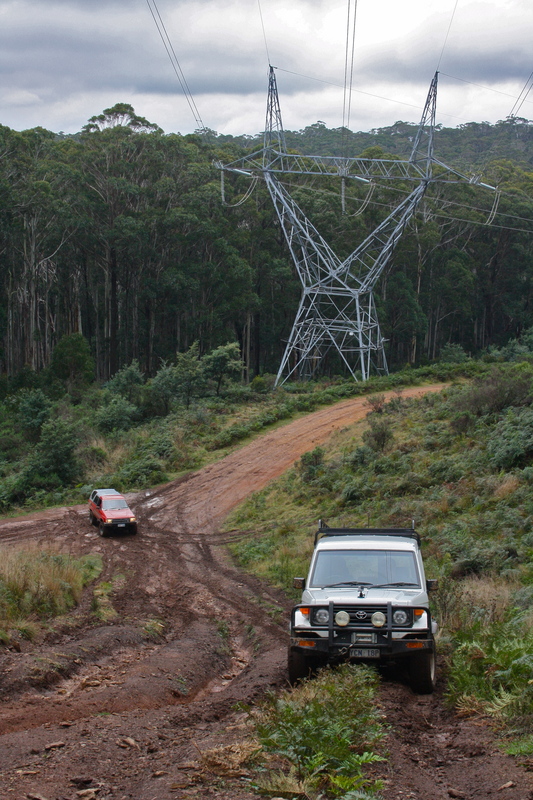 Australia has a fairly proud tradition of 4WDing (or four wheel driving..) partially because there’s not always roads where you need to go in this massive nation and partially because Australian’s are generally considered to be mechanical anarchists. No other past-time lets you pound your car over ground that was at no point meant to be travelled over all in the name of a good day out. There’s something that speaks to the inner child in every one with an interest in cars when you see a what can only be described as a track, snaking up something near vertical and you’re in control of something with half a chance of getting up it. 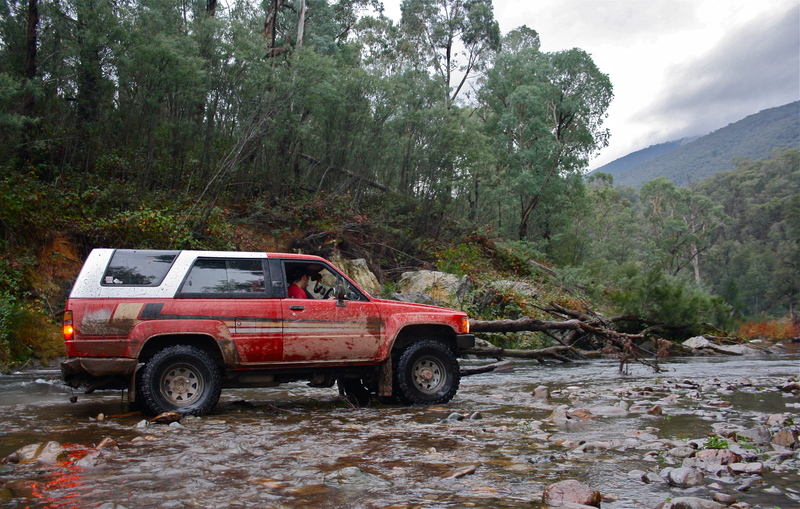 So the other weekend I tagged along with a couple of friends who had decided to go and see how wet the forests were after a solid week of rain (I could have told them how wet it was going to be…) What resulted was a 1980’s Toyota 4Runner and a 1990’s Toyota Landcruiser Troop Carrier traveling 120kms (or about 60 miles) in 10 hours. Yes 10 hours. 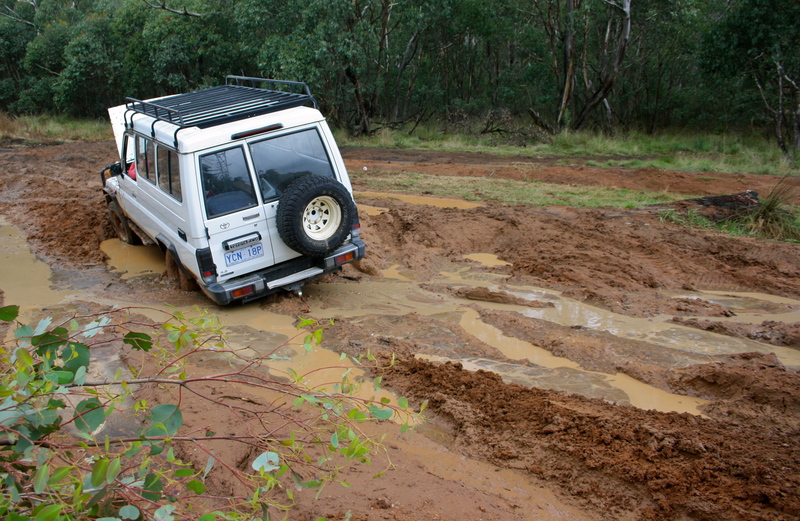 Going was good initially while the tracks were wet, the clay afforded some semblance of grip and the 4WD’s slithered their way forward. 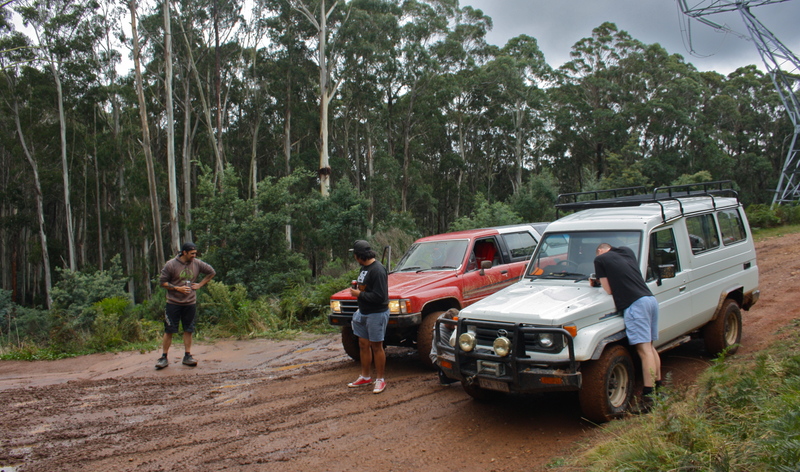 That was until we reached a section in the road that had decided it no longer wanted to be a road. Well that’s not gone well. After being freed from our muddy grave we continued on aimlessly up a number of tracks, which offered pretty amazing scenery, until the weather came in. The weather also brought thick fog with it which rendered our headlights useless and no one had a map. Then it was dark. Then we were lost. We all figured out that we were lost at about 6pm and it would take us almost four hours of blindly following tracks, doubling back and trying another option before we figured out where we were. Let’s just say I was a bit upset that, as a passenger, I hadn’t brought along more beer. Where we’re going. 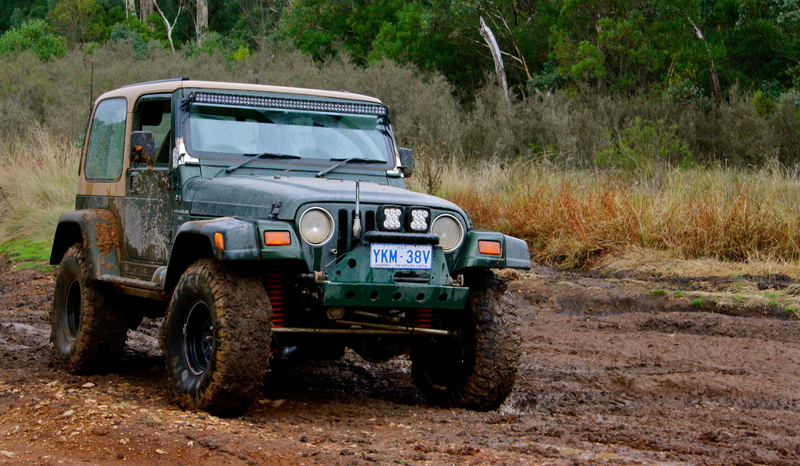 We don’t need no roads. So what did my day and a bit in the forrest teach me? It taught me that if you think you won’t be able to get through something, you’re probably right; but it can’t hurt trying anyway. I also learnt that I’m a fan of 4WDing if there’s a destination at the other end, but I’m not so keen on it when you’re just pounding your car over ground that was at no point meant to be travelled over all in the name of a good day out.